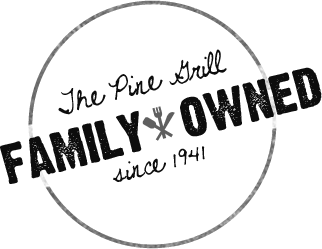 Pine Grill Restaurant is located right off Exit 110 of the Pennsylvania Turnpike. You can find the restaurant quickly by going to the second traffic light from the exit. Turn right and the restaurant is immediately on your left along North Center Avenue in Somerset, next to the Harley Davidson motorcycle shop.